Let's be honest. 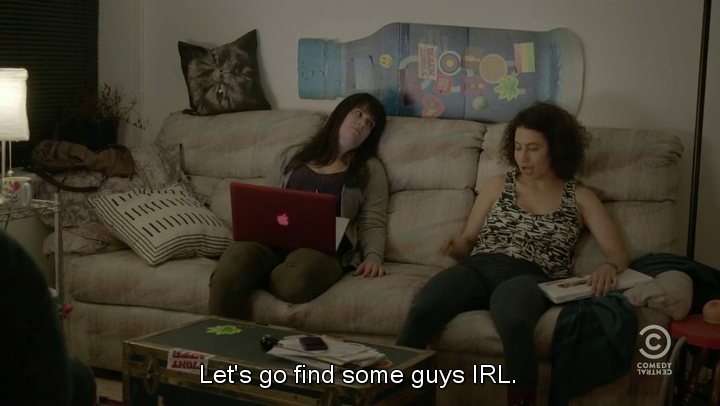 The "Broad City" ladies (and gentlemen) speak the honest truth. 1. DON'T EVER THROW AWAY BED, BATH, & BEYOND COUPONS. NEVER. 2. Sometimes you need time alone (so that you can Netflix marathon OITB, of course). 3. 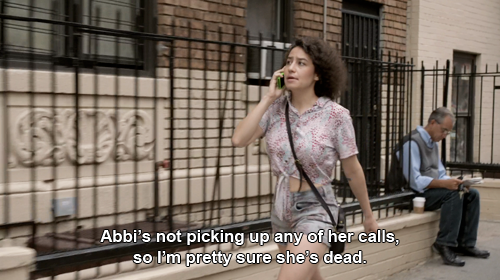 If friends don't pick up phone calls, I'll panic and automatically presume that you are dead. Okay? Okay. 4. Don't lie. We all have "borrowed" a few things from the office and never returned them. 5. It's one of those nights and it has happened to the best of us. Stay near a toilet or just near any deep container of some sort. 6. When you gotta go. YOU GOTTA GO. 7. Those moments when you have Superman strength, you're all "ADRENALINE!!!!!!!!!!" 8. Less Instagram/Facebook/Twitter stalking. More let's find guys IRL. 9. Who made the rule that you need to be 25 to rent a car? Why 25?! 11. Brain kegels are for healthy thinking and normal brain functions, like not eating bagels out of a garbage bag. 12. Oprah says, you listen. 13. Real talk: is there a secret underground bucket drumming class we need to sign up for? 14. Miss you, Amy Winehouse. Rest in peace. 15. 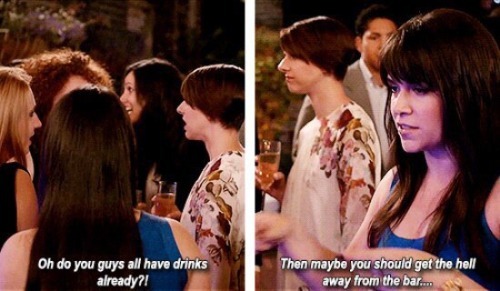 But seriously, move it or you lose those drinks. 17. Like a knife to the heart.